So if you’re missing any of the books, or you know someone who’d love them, then grab them now! 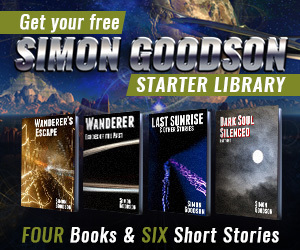 Note: Wanderer’s Escape is free via Nook, Kobo, iTunes and Smashwords. For Kindle the picture is more complex. It is definitely free in the UK and US stores and some of the others, but not all. This is because Amazon don’t directly allow a book to be permanently free. I wish they did… but it seems unlikely to happen.